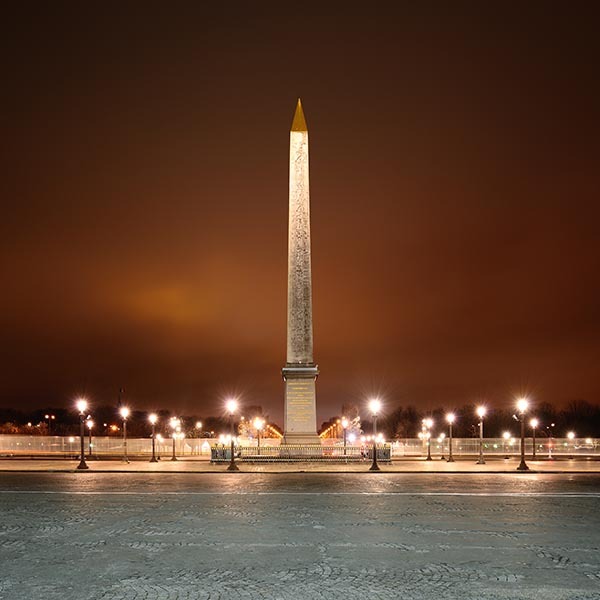 The Luxor obelisk is located at the center of the Place de la Concorde in Paris. The obelisk is over 3,000 years old and was a gift to France in 1839. This photo was taken shortly before dawn.